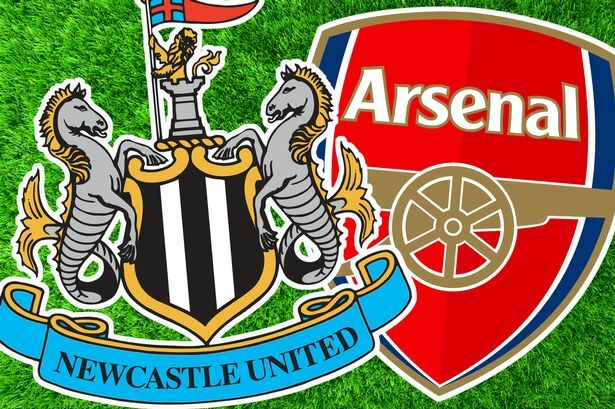 Newcastle United will host Arsenal on Saturday hoping to stem the tide that has seen them drop further and further down the table. The Gunners will be looking to solidify their position in the top four. A goalkeeping error, followed by a penalty call and a red card, sealed Newcastle’s fate last week against Everton. The Magpies continue a very difficult part of their schedule. After the international break, they play Sunderland away, followed by Liverpool, Spurs and Swansea City. Arsenal were eliminated from the Champions League by AS Monaco on Tuesday. Arsene Wenger’s club will need all the points they could get with Manchester City, Manchester United and Liverpool also vying for a place in the Champions League for next season. It is no secret that Newcastle have been decimated by injuries this season, more so than any other Premier League club. It is perhaps no surprise that the squad has faded as the season has gone on. Rémy Cabella and second-choice goalkeeper Rob Elliot made their return to the squad last weekend. Massadio Haidara is battling a knee injury and remains doubtful for Saturday’s match. Siem de Jong announced this week that he is recovering well after suffering a collapsed lung and could return to action sooner than expected. Rolando Aarons (hamstring), Paul Dummett (knee) and Cheick Tioté (knee) are all expected to be out longer. Steven Taylor (ruptured achilles tendon) is out for the rest of the season. Captain Fabricio Coloccini had his appeal of a red card rejected and will serve a three-match suspension. With Coloccini, Haidara and Dummett all potentially out, Newcastle will be very lightweight on defense against Arsenal. Striker Papiss Cissé has six matches remaining on his suspension as well. Arsenal have done admirably well since the beginning of January especially considering all the injuries the squad has. Jack Wilshere, who Arsenal fans have become used to being out, is still working his way back from an ankle injury. English winger Alex Oxlade-Chamberlain has missed the last few matches with a hamstring injury. Mikel Arteta has returned to training following an ankle injury but is not expected to play this weekend. And former Newcastle defender Mathieu Debuchy is out with a shoulder injury. Tomas Rosicky has missed the last several weeks due to illness and should be available. John Carver began last week’s match with a 4-2-3-1 formation. However, the club reverted back to 4-4-2 at the beginning of the second-half when Ayoze Pérez came on for Gabriel Obertan. The club had the better chances against Everton but Coloccini’s red card just before the hour mark was too much to overcome. There is little doubt that Arsenal will use 4-2-3-1 against Newcastle on Saturday. Wenger may choose to rest several players after the club’s mid-week encounter against Monaco. Mesut Özil should play in the ‘number 10’ position behind striker Olivier Giroud. Despite several injuries, Wenger still has a wealth of options especially in attack. Oxlade-Chamberlain’s absence is easily filled by Theo Walcott or Danny Welbeck. The Gunners have scored 56 Premier League goals so far, which puts them third behind only City and Chelsea. Chilean international Alexis Sanchez leads the club with 13 goals. Giroud is next with 11. Santi Cazorla and Sanchez have created the most goals for the club this season with seven each. Ozil is next with five. Arsenal always seem to hit their stride after Christmas. They have only three defeats in 18 matches since their Boxing Day encounter against QPR, in all competitions. They have won eight of ten Premier League matches in 2015. The only blemishes were defeats to Southampton and Spurs. The club have won five consecutive matches overall. Newcastle are not doing much to fight the perception that they are just playing out the season. The club has only two wins in 11 matches under John Carver. Arsenal has won six consecutive matches against Newcastle. That includes a 4-1 win in December. The Magpies have not beaten their opponents in eight matches. Newcastle will be stretched thin on Saturday because of injuries and suspensions. Arsenal are in good form overall but they are coming off an emotionally draining match against Monaco. Newcastle should produce a better effort in front of their fans. However, it will not be enough to defeat the Gunners. This match will end in a draw.